[Two years ago, the artist Charlotte Keates made a road trip through the USA. At a flea market she bought a box of slides from the 1950s and 1960s. On it were to see photos, which made a family on vacation. 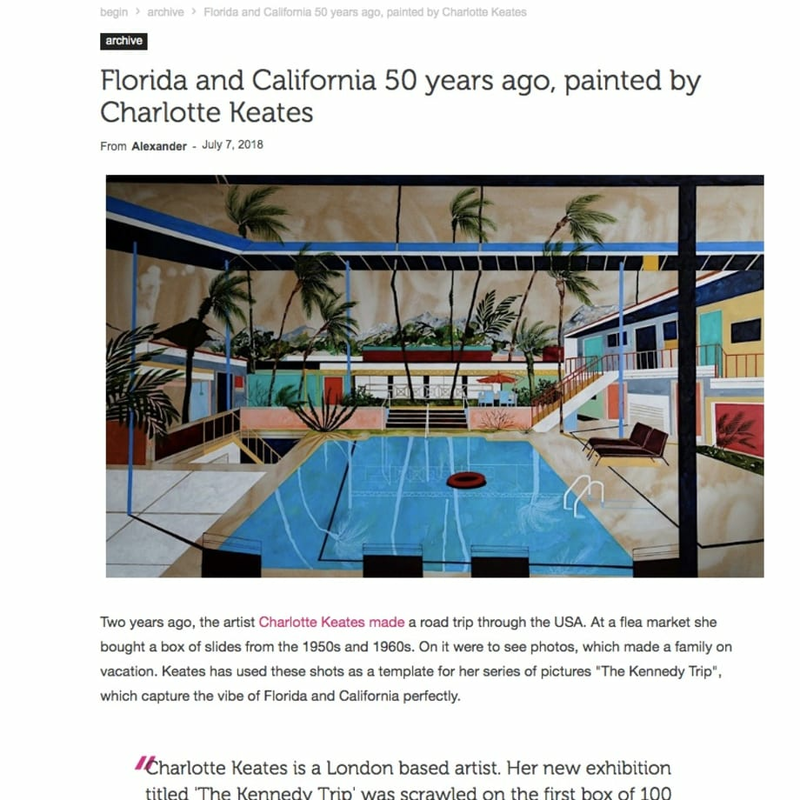 Keates has used these shots as a template for her series of pictures "The Kennedy Trip", which capture the vibe of Florida and California perfectly. 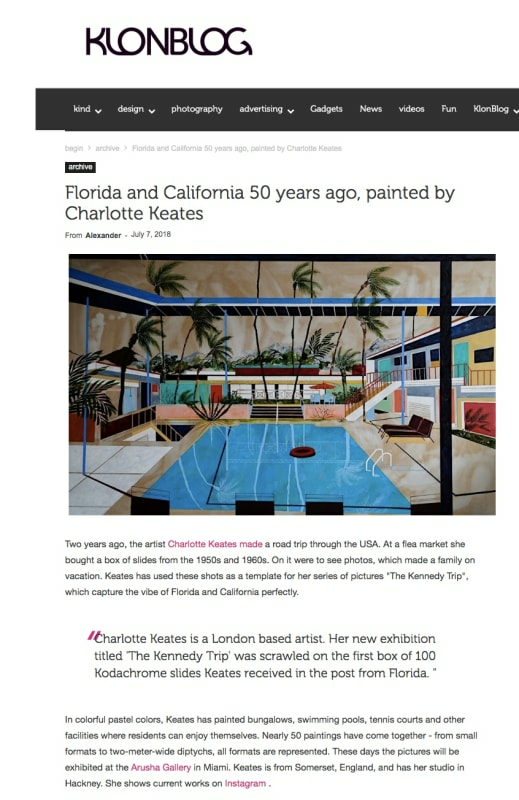 Charlotte Keates is a London based artist. Her new exhibition titled 'The Kennedy Trip' was scrawled on the first box of 100 Kodachrome slides Keates received in the post from Florida. "